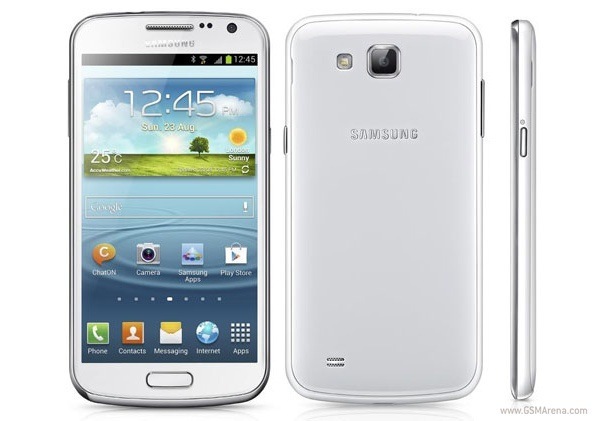 Samsung Announces 4.65″ Galaxy Premier: Android 4.1, 8MP Camera, etc. I’m sure most of you should be familiar with how Samsung works and how many devices they have, catered to every possible segment of the market. Not long after unveiling its Galaxy S III device, it announced a smaller Galaxy S III called the S III Mini that comes with a smaller display of 4” along with lower specs, placing it in the mid-range Android device and if you were looking for something in between that, here’s the Galaxy Premier. Samsung has officially took the curtains off its Galaxy Premier that comes with the same “designed for human” concept found on the S III, S III Mini and Note II. With a 4.65” display on board, it comes with slightly lower specs compared to the S III – 1280 x 720 Super AMOLED display, 8MP rear camera with 1080p video recording, 1.9MP front facing camera, 16GB of internal memory, 1GB RAM, GPS, NFC and a 2,100mAh battery, and while the company made no mention as to what processor it runs on, leaked benchmark suggests the Galaxy Premier to run on a 1.5GHz dual-core ARM Cortex A9 CPU. Software wise, Galaxy Premier runs on Android 4.1 Jelly Bean and packs many of the company’s state-of-the-art Galaxy S III features such as S Beam, Smart Stay, Direct Call, Pop-up Plan and Best Photo. The what I reckon to be a slightly bummed down S III will be available from November starting in Russia and will be rolled out to selected regions including Southeast Asia, China and South Korea at approximately USD$680. Will you get this upper-middle-range Android device?